Now that we've entered our lead and built our quote, we're going to send it to our clients. 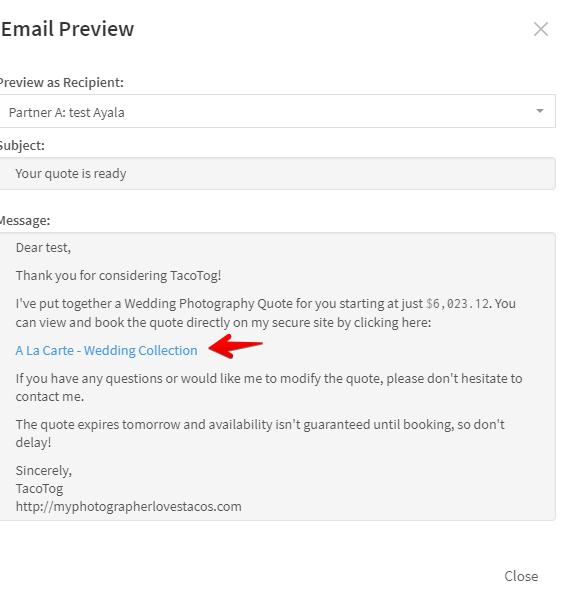 We'll now click the 'Email Quote' button and see our email ready to go out. There are a few important things to note here. This is going to be our first look at tokens and email templates. Tokens are just placeholders that will fill with actual data from a contact or a job. 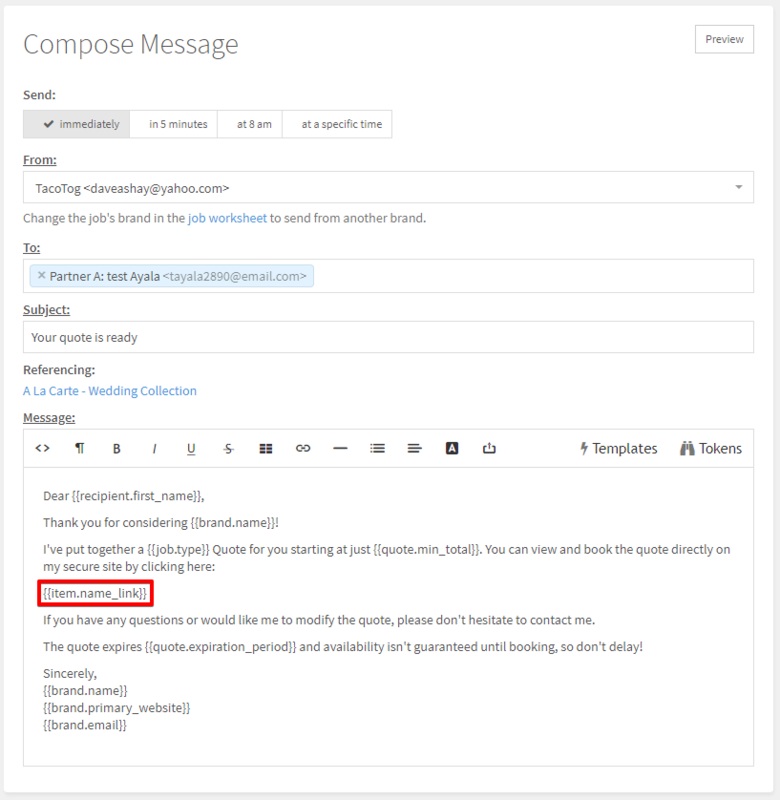 If you've created a different email template that you'd like to use instead, you can send that one by clicking the templates button, just make sure the email template you're trying to use is the right email type. 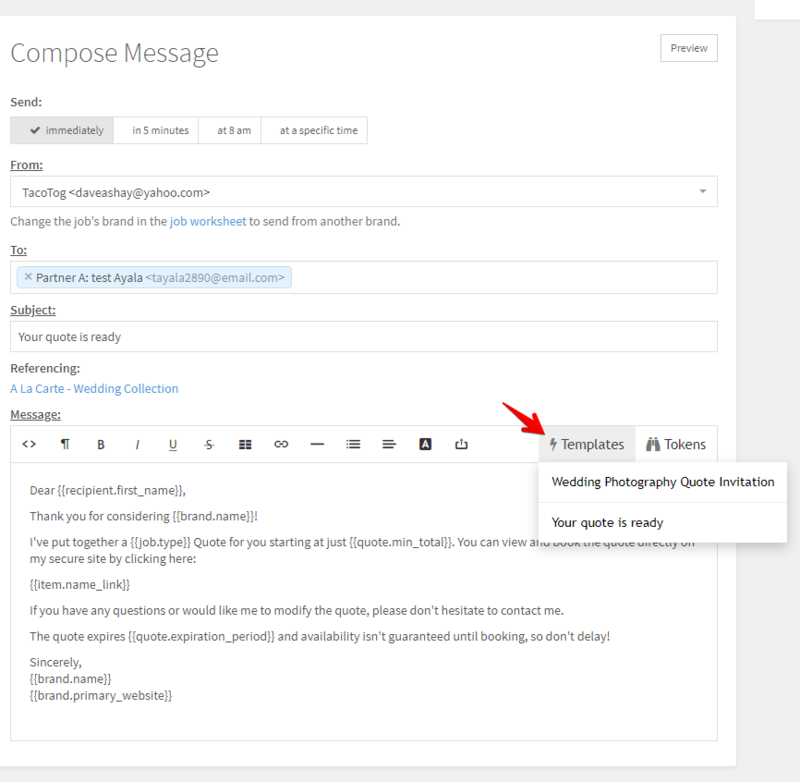 If you ever want to modify these templates, you can always do so from your email templates in settings as well. Let's hit send and get that client booked! Once it's off, you can always see what the status is by heading over to the mail tab. Logged - This email was added from outside of Táve but has been logged on this job. Delivered - The email has been delivered, but not opened yet. Opened - The email was opened, but the link has not been clicked yet. Clicked - The link inside of your email was clicked. You've got it! You're using your account! Ready to make it your own?